Hyperpigmentation is a condition which results in certain areas of the skin getting darker than the rest. This is caused by the body producing too much melanin, which is a dark brown pigment. People of all ages and races can be affected by this condition, and it is fairly common. Many people who have hyper-pigmentation get “liver” spots. Many reasons exist on why a person could potentially suffer from this. Sometimes it's the result of damage to the skin from overexposure to sunlight. Other people with this skin condition get chloasma spots, which look like age spots with darker-colored patches of skin. Sometimes even pregnancy can cause hyperpigmentation due to the natural chemical changes women experience while carrying a child. Some women who have birth control pills can get discolored areas of skin as well. People who live in cities are statistically more likely to develop hyperpigmentation. The increased pollution in urban areas is probably one reason for this. It’s also possible to develop hyperpigmentation after sustaining a cut to the skin. Almost any sort of skin damage can result in this condition. Allergic reactions can also lead to the development of darker-than-normal areas of skin. A small percentage of people who come into contact with poison ivy produce excessive melanin, leading to hyper-pigmentation. It is believed by many people in the medical community that there is a genetic component to this skin condition. The primary symptom of hyperpigmentation is discolored patches of skin. Usually these areas of the skin appear dark brown or even black. The exact color of the area depends on the amount of melanin that the person’s body produces. Without a doubt, you will quickly find that this is the most prevalent cause in people developing a form of skin discoloration. The result is small sun spots that can typically render a dark color, appearing on the greater exposed regions of your body. This makes sense as sunlight commonly hits your face, chest neck areas and lets not forget your hands. This sun damage results in a increase in melanin. Another form of a sunspot that is typically lighter in nature are ferckles. The more exposure to the sun you have the darker these get and are commonly found on similar areas described. Post Inflammatory Hyperpigmentation is a short lived "inflammatory disorder of the skin", typically found in darker skin tones, however it can occur in anyone. Daily application of SPF 50+ is required to ensure adequate treatment. Melasma which typically appears on the face is another form of skin-discoloration. The result of this is light to medium brown pattern appearing on the affected area. These appear in patches and cause people major concern. In particular, pregnancy and periods where there is a material change or balance fluctuation in hormones is when these usually occur. Sun light and UVs increase its affect. Areas affected include; Nose, mouth area, jaw, cheek bones and overall face area. There are certain risk factors that you should be aware of when it comes to hyper-pigmentation. The more you learn about these risk factors, the easier it will be to avoid this problem altogether. Those who spend a lot of time in the sun can significantly increase your chances of developing hyperpigmentation. Sometimes even young people who are in their teens get discolored skin as a result from overexposure to UV rays. Sometimes the discoloration can be a few small dots, while others experience it as large blotches. People with acne are also at higher risk hyperpigmentation, as it sometimes leaves behind scarring or dark spots on the skin. Not everyone with acne will have this problem, and it tends to affect those with more severe cases. Using tobacco products like cigarettes or chewing tobacco can also make it more likely for your body to produce too much melanin. The older you get, the more at risk you are. Numerous studies have revealed that those who are over the age of 50 are more likely to develop this skin condition. Those who have a poor diet and eat lots of foods with high levels of sugar can also develop discoloration on parts of their body. The healthier you eat, the less risk you have of experiencing this issue. There are certain diseases that can cause hyperpigmentation, such as Addison’s Disease. Those who have a significantly adrenal deficiency could experience discoloration of the skin. There are also some drugs that have been known to cause this type of skin problem, such as hormonal medication and certain antibiotics. It is important that you understand all of the risks and side-effects associated with all medications you take. What Are The Treatment Options To Get Rid of It? There are a number of treatment options available. Not all of these treatments are effective for everyone, but you should still know what your options are. These can be a very effective way to remove stubborn discolored spots on the skin. There are different types of chemical peels, but they basically remove the top layer of skin, which is where the pigmentation is. You should take the time to explore your chemical peel options before choosing one in particular. Vitamin C serums are often recommended to those who suffer from hyperpigmentation by dermatologists. This is not an effective treatment for everyone, though it can produce results. This vitamin has powerful antioxidant properties that can prevent damage from UV light exposure. Overexposure to sunlight is one of the most common causes of this condition, so it is a great treatment option to look into. This is another treatment for hyperpigmentation that has been known to get results with many people. This treatment works especially well with those who have discoloration from sun damage. The light that is used in these treatments specifically targets areas of discoloration to diminish and sometimes remove them altogether. It is set at wavelengths that range from 515 to 1,250 nonometers. The light is concentrated into the skin tissue to break down the melanin. Pigment erasing lasers can help with removing discolored areas of skin. These lasers are set to certain wavelengths that break up melanin quickly and effectively. One of the biggest benefits of this treatment method is less inflammation and recovery time. This is another treatment method that can be performed in a doctor’s office. Fractional laser resurfacing has also been known to work well in treating hyperpigmentation. It is perfectly safe for most people with minimal recovery time. These types of procedures can be done in-office, and there is very little discomfort involved. It usually takes numerous sessions until the discoloration is removed altogether. 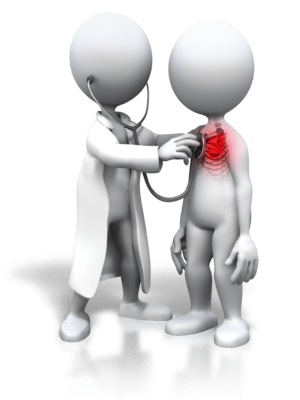 The specific treatment that you should get will depend on numerous factors, including the severity of your condition as well as the cause. Laser light treatments have become very popular with people who have hyperpigmentation. While these treatments might not eliminate the discoloration entirely, they can still make a huge difference. There are lots of natural treatments for hyperpigmentation, though not all of them are effective. You can make a lot of these treatments at home with a few simple ingredients. These treatments are generally very low-risk and can produce some impressive results. Products such as meladerm are ideal for clearing hyper pigmented skin. 100% natural ingredients delivering positive results for customers. Antioxidants are a natural and sometimes effective way to get rid of discolored patches of skin. The retinoids in vitamin A can help speed up the healing process to get rid of dark areas of skin. Vitamin C has been proven to be quite effective for many people with this problem as well. There are a number of foods that you can eat to get a high dose of vitamin C, including chili peppers, broccoli, cauliflower, papaya and Brussels sprouts. There are many different resurfacing agents that are used in the treatment of hyperpigmentation. Lactic and carboxylic acids can remove the top layer of skin that is discolored. Some of these treatments are very abrasive, so they are not well-suited to those with very sensitive skin. You're Probably Asking When will it Fade? Sometimes the discolored areas of the skin that is characteristic of hyperpigmentation fade on their own. It can anywhere from three months to a couple of years for dark spots to fade, but it depends on the cause. The more severe the case, the longer it will take to go away. If you have had this problem for a long time, you should start trying different treatment methods. Another factor to consider is the darkness of the spot compared to the rest of the skin. Exfoliating is typically used as a means of removing dead skin cells that can fill the pores and cause acne to form. There are, however, certain chemical exfoliants that can be effective at lightening dark areas of the skin. Treatments that use glycolic acid can be particularly effective for this purpose. Some studies have revealed that this can be a good way to treat hyperpigmentation, but it doesn’t work for everyone. It all depends on how severe the person’s condition is. This is a very effective way to treat hyperpigmentation, but you have to be patient. It could take a while before you start noticing any real results. One of the benefits of this approach is that there is very little risk of any side-effects. It can take weeks for people with hyperpigmentation to start noticing a reduction in their discolored areas of skin when exfoliating. Will it help? Yes but be patient. Should I use Laser or Microdermabrasion? Microdermabrasion is one of the most effective treatments for hyperpigmentation. It is highly recommended by the American Academy of Dermatology, and it is very low-risk. You won’t have to worry about this chemical treatment damaging your skin in any way. One of the great things about this treatment is that it doesn’t require much recovery time. The procedure itself involves getting an infusion of aluminum oxide crystals into the very top layer of the skin. This gets rid of the dead skill cells that contribute to the problem. The specialized tool that is used for microdermabrasion collects the dead skin cells and crystals simultaneously. It only takes about 45 minutes and you won’t even need to undergo anesthesia. 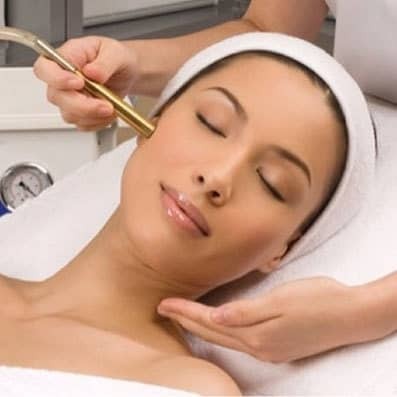 Microdermabrasion removes the top layer of skin, which results in immediate lightening of the pigments in the skin. This chemical process also helps the body replenish skin cells faster. The faster you are able to make new skin cells, the less of a problem you will have with discolored skin. These treatments also tend to increase the production of collagen, which is incredibly important for those who want strong and healthy skin. Most people need to undergo anywhere from 5-16 microdermabrasion sessions before getting ideal results. These sessions should be spaced a couple weeks apart. It is important to let your doctor know if you scar easily before beginning these treatments. After you have undergone microdermabrasion, you can expect your skin to be more sensitive than normal. It is important to use sunscreen when going outside. Those who opt for this procedure will also need to make a point of using a cleanser to keep their skin clean. Taking these steps will help you maintain your beautiful skin. This can be a very good solution for those who have discolored spots on their face. A majority of people don’t experience much irritation from these treatments. Any irritation or inflammation is usually minimal and temporary. There are lots of different doctors who offer these services, but you don’t want to choose just any of them for this type of procedure. Microdermabrasion can be effective under the care of the right physician. The best thing you can do is to research your options until you find the right person to do this work. Now it's Cured, Will it Come Back? In some cases dark spots on the skin can return even after treatment. This is usually the result of an ineffective or overly aggressive treatment. It’s very important to follow post-treatment care instructions given by your doctor. Those who spend too much time in the sun without proper protection can experience problems with the discoloration returning. The better care you take care of your skin after treatment, the less likely it is for the problem to reoccur. 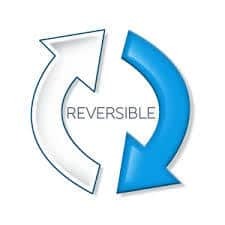 Is it reversible and can it be removed completely? It is very possible to remove discolored areas on the skin, but some people have better luck than others. Sometimes the problem goes so deep into the skin that treatment is difficult. Many people who choose the right treatments find that their discoloration does not come back. You can increase your chances of keeping your skin looking good by limiting sun exposure and taking care of your skin overall. There is never a 100% guarantee that it won’t return, but there are lots of effective treatment options. A vast majority of people can reverse discoloration of the skin, but it varies from person to person. Those who have darker complexions can sometimes have trouble keeping their dark spots from returning. It is important that you listen to your dermatologist’s tips and suggestions after undergoing any type of treatment. If you are interested in undergoing a hyperpigmentation treatment like microdermabrasion, it is important to find a reputable practitioner. You don’t want to go to just anyone for these kinds of treatments. The more time you take to research your options, the better your chances will be of getting lasting results. Make sure that you find someone who is qualified to render the treatment you are interested in. 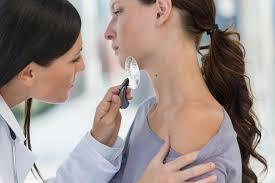 It is also crucial that you speak with your dermatologist before deciding on any specific treatment. Your doctor will be able to give you specific recommendations that can help get rid of the discolored areas on your skin. Those who have particularly sensitive skin should stay away from some of the more abrasive hyperpigmentation treatments. There are a lot of home remedies for treating this skin condition, but some of them can actually do more harm than good. When you invest some time in researching these options, you can save yourself a lot of problems later on. Just because a particular treatment is “natural” doesn’t mean it is completely safe for you. Chemical peels can be very effective at removing dark spots, but there are certain risks that come with them. You will need to be fully aware of these risks before going through with any of these treatments. The doctor you find to perform the procedure will be able to give you all the information you need. If you have a history of scarring, you should be very cautious about getting a chemical peel treatment. Hyperpigmentation can spread out over time, but it usually happens slowly over the course of months or years. If you notice the discoloration spreading, it is important that you do everything you can to prevent it from getting worse. This is one of the consequences of not seeking treatment for this skin condition. While it doesn’t always spread, it’s still a chance that you will be taking by not seeking out treatment immediately. There are a number of treatments that you can take advantage of to slow or even completely stop the spread of hyperpigmentation. The sooner you start getting treatment for this condition, the more effectively you can limit the area of skin it covers on your body. Hyperpigmentation can be a very frustrating condition to have, but there are many different treatment options available. It is important that you explore as many of these treatment methods as possible. Microdermabrasion is very effective for many people with this condition, but you will need to meet with a doctor to discuss it in depth. Chemical peels in general have been known to work very well to lighten discolored patches of skin. You should also make a point of exploring some of the natural remedies and treatments for hyperpigmentation, as some of them can actually work quite well. We recommend using Meladerm skin cream which has proven to be successful in removing dark spots. As these treatments are natural, the risk of experiencing an adverse reaction is much lower. There are lots of different treatment recipes that you can easily make at home for treating your discoloration. It might take you a while to find a treatment that works, but it’s well worth the effort. To reduce your chances of getting this and in an attempt to clear it following these simple rules daily. Make sure to not exposure your skin to too much sunlight. Always wear sunscreen if it is cloudy outside. Getting your diet correct and eating healthy foods can also have a positive impact. i.e green tea, berries, fresh fish such as salmon. Take regular antioxidants and vitamin supplements.